The study investigated the effect of taurine on cell viability and neurotrophic gene expression in arsenite-treated human neuroblastoma SH-SY5Y cells. Arsenite-induced intracellular reactive oxygen species (ROS) and interrupted cell cycle in SH-SY5Y cells. 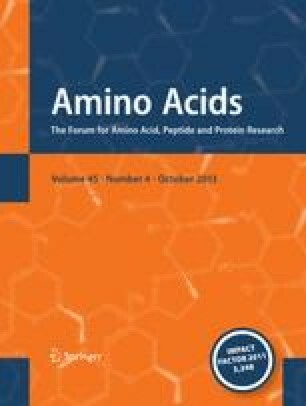 In addition, arsenite reduced mitochondria membrane potential (MMP) and decreased neurotrophic gene expressions such as n-myc downstream-regulated gene 4 (NDRG-4), brain-derived neurotrophic factor (BDNF) and sirtuin-1 (SIRT-1) in SH-SY5Y cells. In parallel, taurine prevented cell cycle, restored MMP and reduced the intracellular ROS level, and taurine recovered NDRG-4, BDNF and SIRT-1 gene expressions in arsenite-treated SH-SY5Y cells while taurine alone has no effect on these parameters. This study was supported by the National Science Council, Taiwan, and the Center of Excellence for Marine Bioenvironment and Biotechnology.